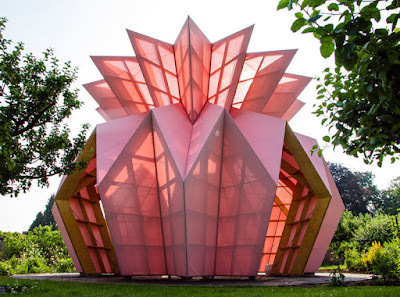 Abandon Art : This Simple & Beautiful Origami Pineapple Pavillion Is the Coolest Thing You'll See on The Internet Today! 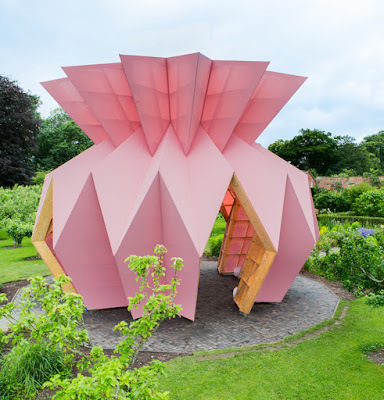 This Simple & Beautiful Origami Pineapple Pavillion Is the Coolest Thing You'll See on The Internet Today! 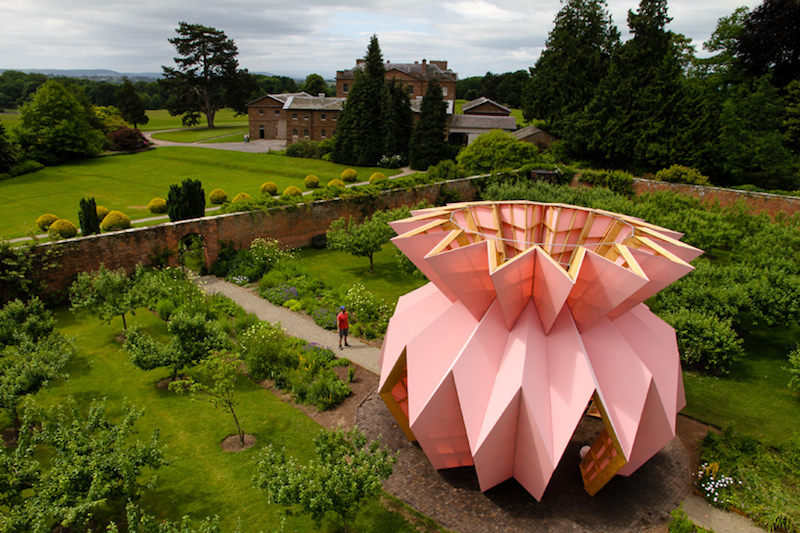 Situated inside the garden of the Georgian mansion at the National Trust’s historic Berrington Hall is Studio Morison's newest structure Look! Look! Look!, a pineapple-shaped pavilion with angles akin to a folded work of origami. The pavilion is dusty pink, with an open rooftop and four openings that surround the structure’s sides, and was built with the support of Trust New Art and the Arts Council England. Heather and Ivan Morison, the two artists behind Studio Morison, spent more than a year researching the garden’s history before they arrived at the design of this sculpture as a way to bridge historical Georgian life with its present use, encouraging visitors to relax or picnic within. The pink color was pulled from a traditionally Georgian palette, hues of which are found inside the hall itself. 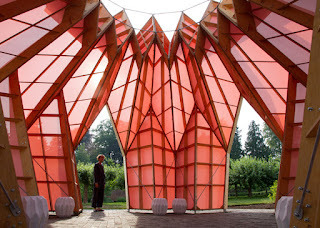 The shape of the pavilion is based on a piece of origami created by the two artists. With the help of structural engineers the timber work was brought to life. A metal frame sits at its core, while the outside is covered with a pink fabric that can withstand all weather conditions. In addition to designing the temporary outdoor pavilion, the artists also created several sculptural pieces of furniture that exist inside, small geometric stools that reflect the shape of the sculpture which they are inclosed.